Ahhhh, summer time. Festivals, state fairs and amusement parks packed full of families enjoying their summer break. Riding roller coasters while screaming and laughing, spinning nauseously on the tea cup ride and playing the ring toss game, over and over, to win that creepy looking stuffed animal. And last but not least, the AWESOME FOOD! Being prepared is SO IMPORTANT. 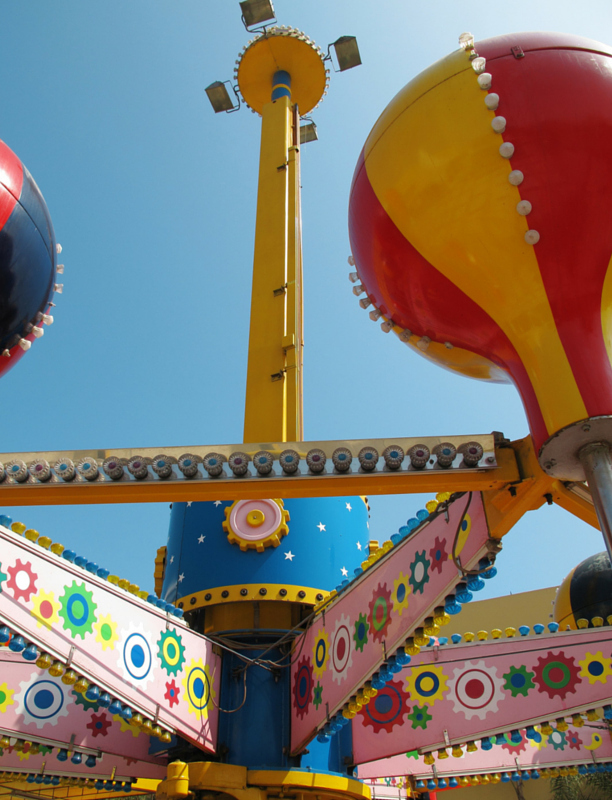 How can you be prepared when going to a fair or amusement park? Well, before I get to our "Just in Case" GF Stash bag, check out the list below of some of the gluten-free options that ARE AVAILABLE. Don't go into the situation negatively. I think you'll be surprised to see that your family can have quite a few options. See, there's quite a few options!! Not bad, not bad. NOW, to be on the safe side, I HIGHLY RECOMMEND bringing some gluten-free goodies along "just in case". Having a little stash that you can bring along eases the anxiety/stress of that possibly not being anything your child can have. Pack something that you know your child will love. I throw fruit in the bag because it's easy and somewhat healthy as I know we will be eating junk food most of the day, which is totally fine with me, but Jack loves pears and apples so it works for us. 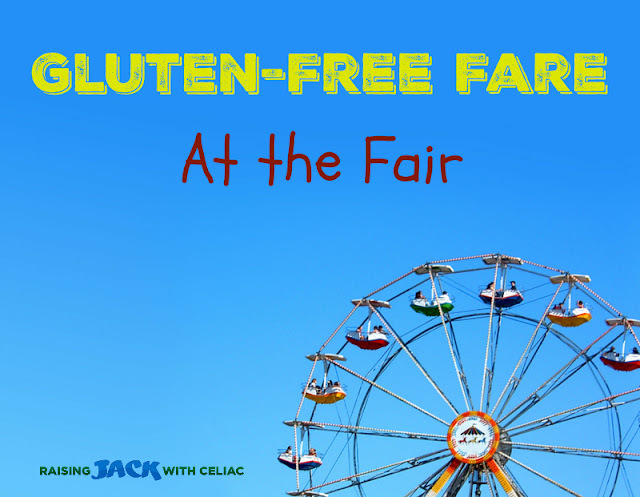 Do some research before going to the Amusement Park, you just might be surprised to see that they offer gluten-free options on their menu. And lastly, RULE OF THUMB: IF IT'S QUESTIONABLE, DON'T EAT IT! Oh, and one last thing, the most important thing, HAVE FUN! Don't let funnel cakes and elephants ears keep you and your family from going to the State Fair or Amusement Park. Kelly -- Did you know Holiday World in Santa Claus, Indiana offers gluten free items along with their regular menu? Thanks Amy for the info! :) That's great news! We used to look forward to the Elephant Ears at the fair...that was before we were GF. Now, I make them at home whenever we want! Follow the instructions for using the dough for Flat Bread, and dust with sugar or cinnamon sugar after you're done frying in butter. Yum! That sounds delish! Thks for the link! Cotton candy is gf too!